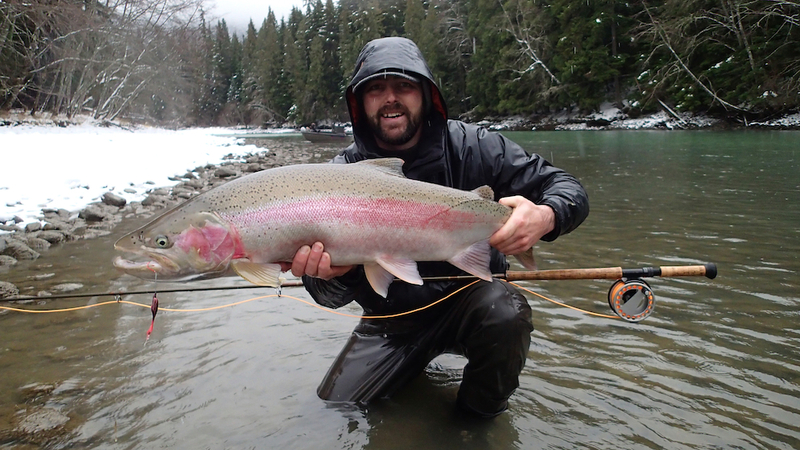 Category: Terrace BC steelhead guides. 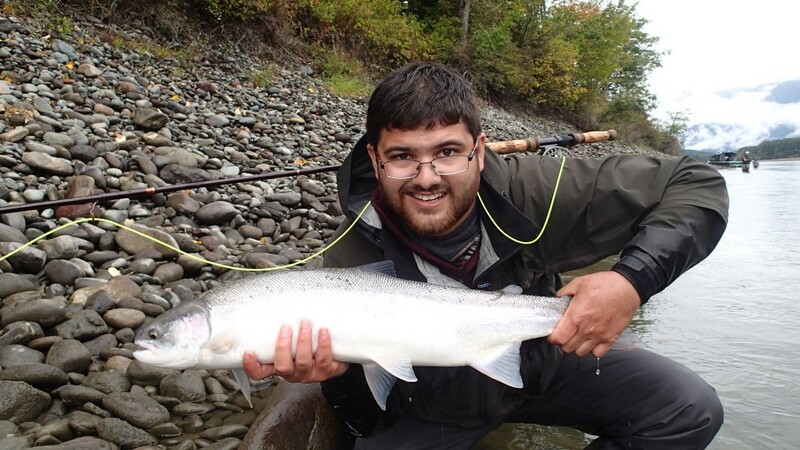 Steelhead fishing the Skeena river swinging the fly ! 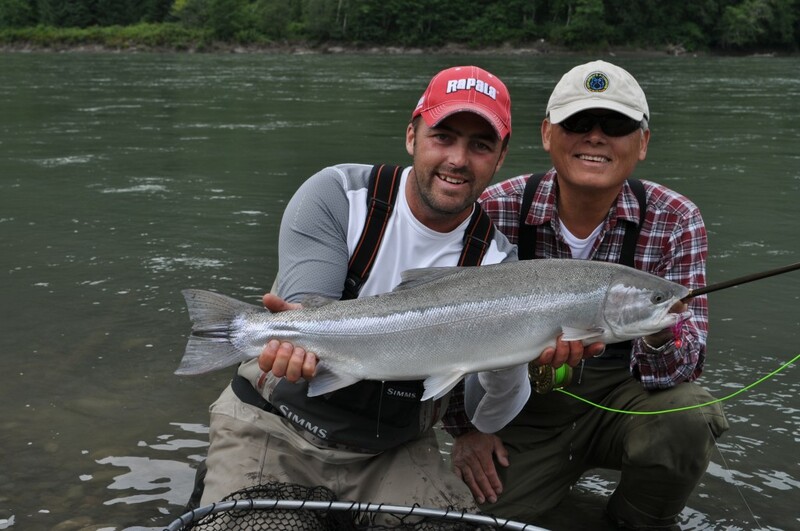 Fly fishing on the Skeena river can be very rewarding however the region is vast there are so many rivers with many different species running at different times – Summer run steelhead – Winter run steelhead – Spring run steelhead & of course all the salmon Sockeye Salmon – Pink Salmon – Coho Salmon – Chinook Salmon – Chum Salmon, so the question that is asked what is the best time to be fly fishing the Skeena river or tributaries of the Nass or Kitimat rivers. 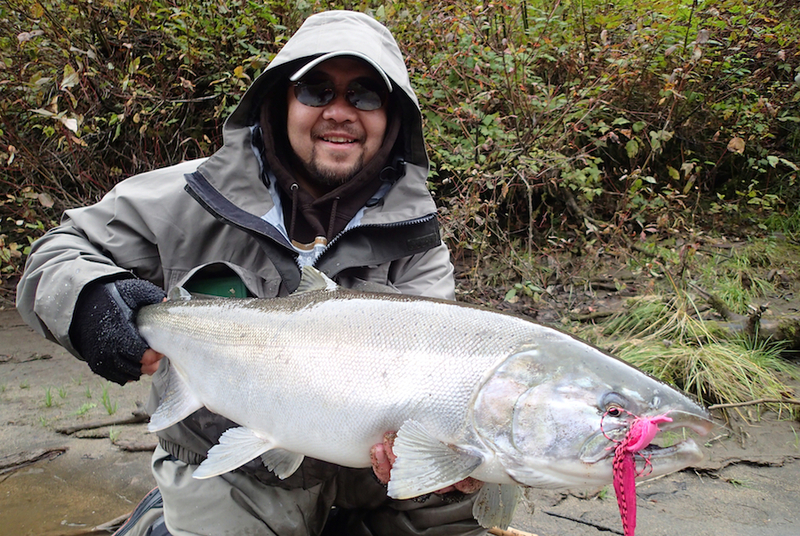 Kuo with a trophy Coho Salmon caught on a pink foam fly on the surface. 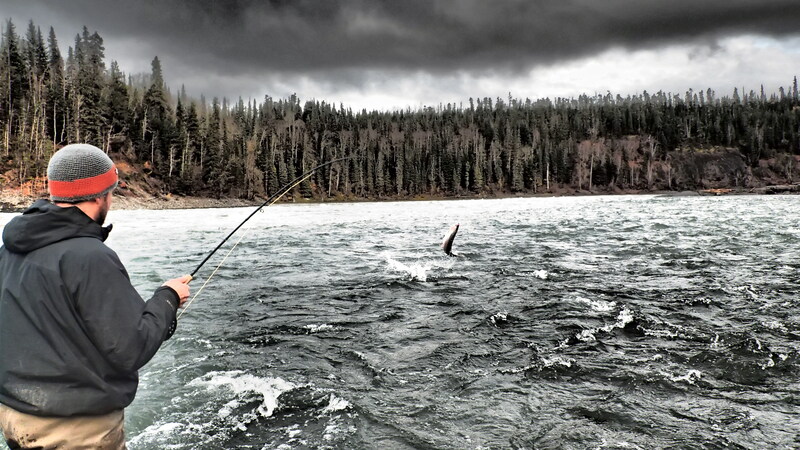 If this is your first time to the Skeena region we highly recommend a good licensed guide www.westcoastfishing.ca with so many rivers to choose from and timing of runs its key to be in the right place at the right time, a lot of money can be spent on travel to Terrace and your dream fishing trip could be a bust if your not in the right place at the right time doing the right thing. 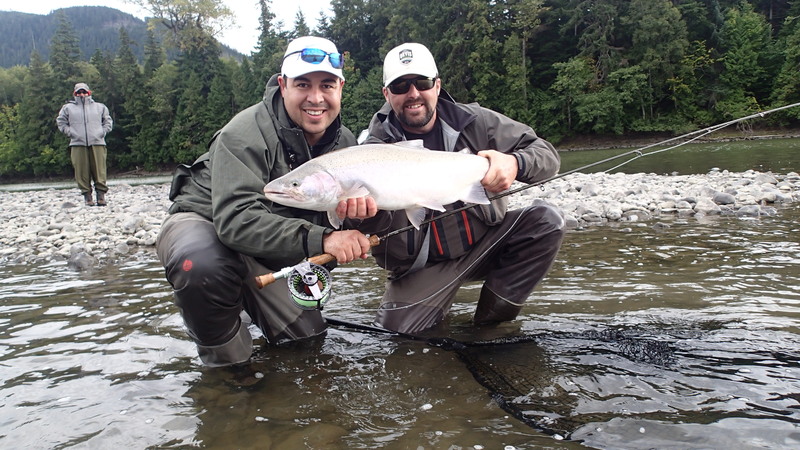 With this said we will be attending the Sacramento ISE show offering fully guided fishing trips to Skeena country for the 2014. 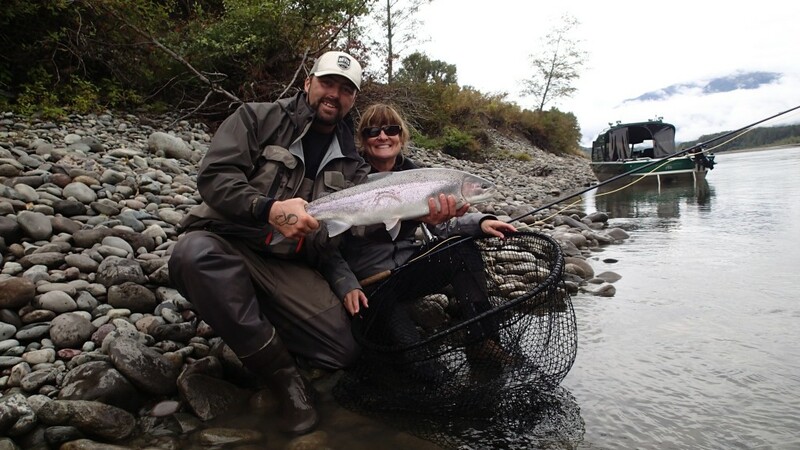 Offering our Exclusive Remote Spring Steelhead camp./ Summer Salmon & Steelhead trips from or main lodge / Ocean trips aboard the 25 foot Skagit Orca out of Prince Rupert chasing Chinook salmon,Halibut, crabs, spot prawns / Then back to the remote rivers for fall Coho and Steelhead action. 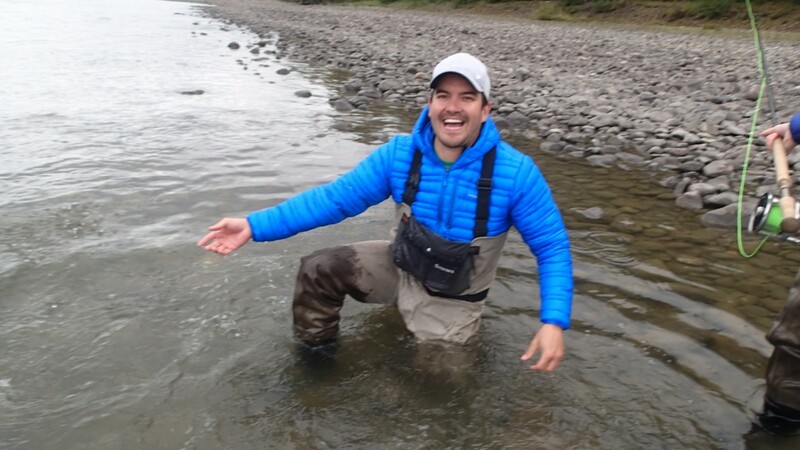 On our secret rivers ! 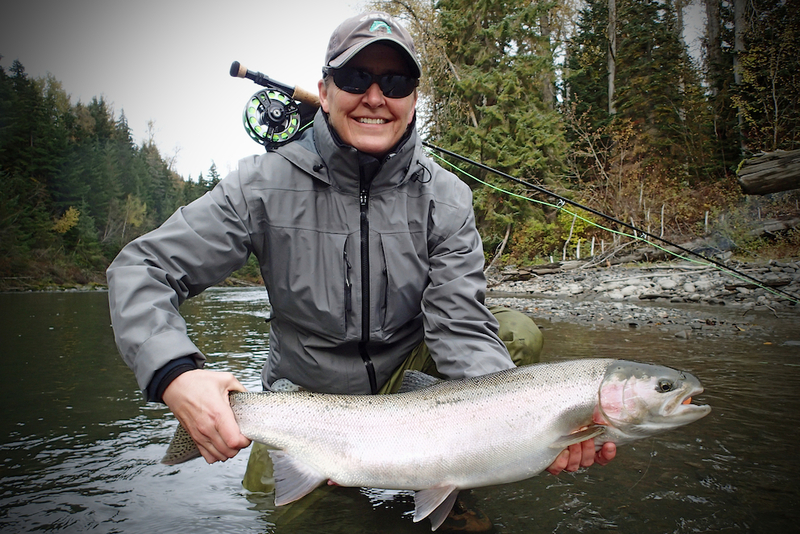 Gill McKean with a monster winter run steelhead on the fly. 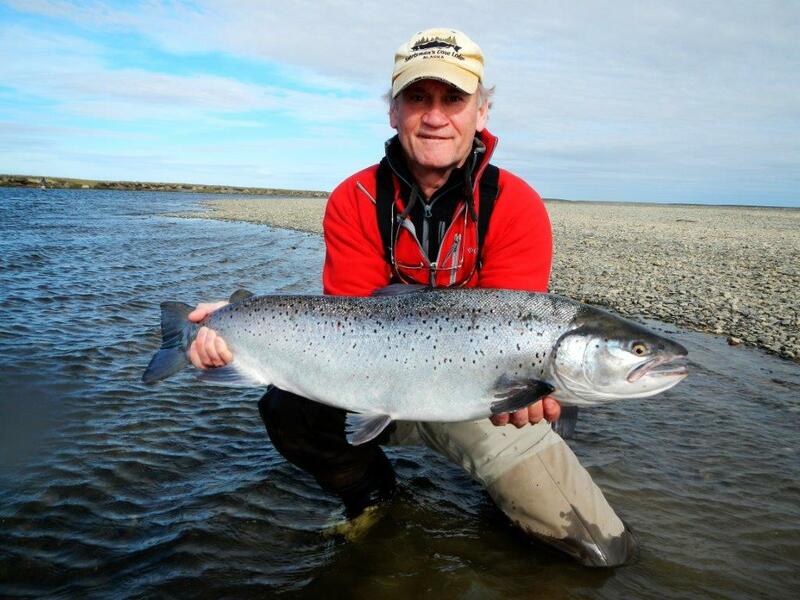 We hope to see you at the Sac show or on our door step hooking up to your trophy fish. 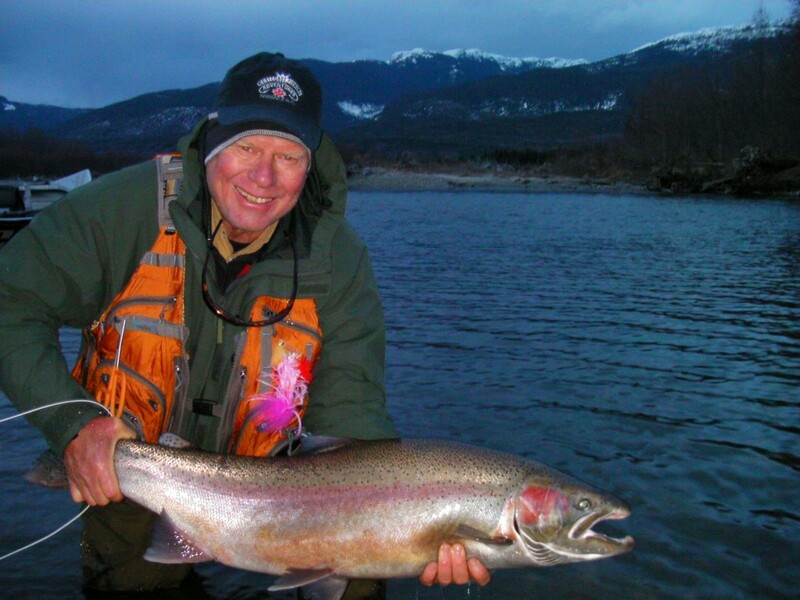 Tight Lines & Merry Christmas to All. 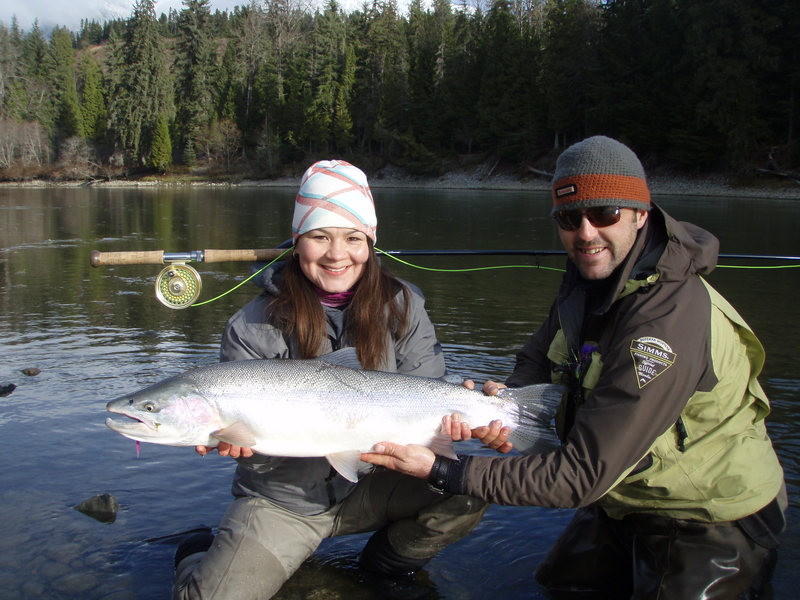 Fly Fishing for Steelhead in Skeena country fishing report for Nov 12/2012. 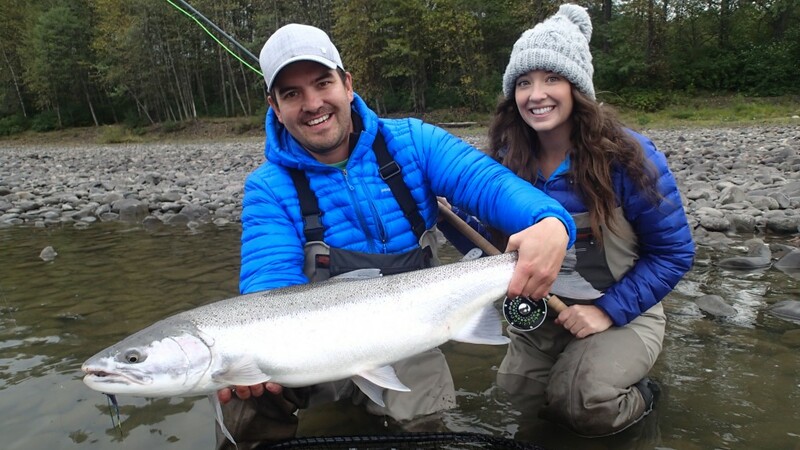 Our guide season is over however it gives myself & Mandi time to get out and wet a line we have been enjoying some quality time with Big Fish! . Mandi has just picked up the Spey rod in the last 2 years she is now getting the “SWING” of things catching some incredible fish she is hooked for life i can see it in her eyes. 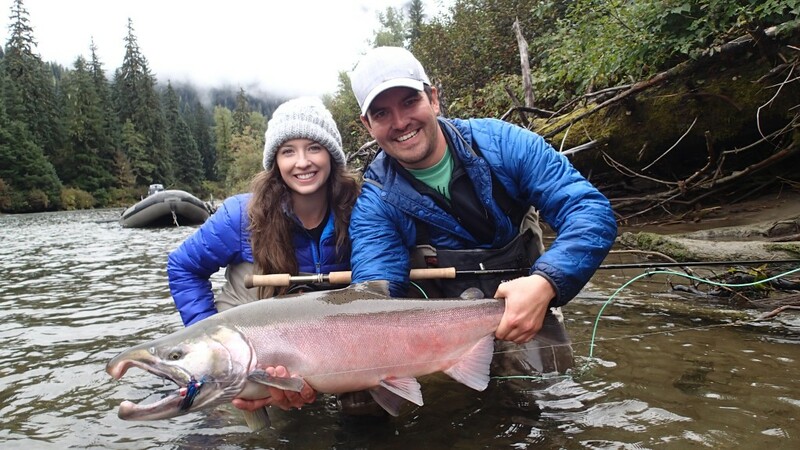 The only disappointment her look is more intense than the first time she met me… 🙁 LOL I have enjoyed ever minute of teaching her watching her passion for this sport grow ! 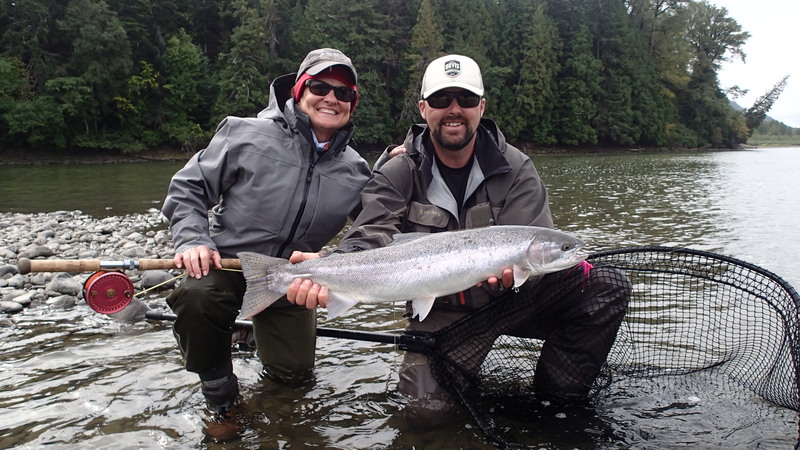 Mandi & Gill catching chrome in Skeena country! 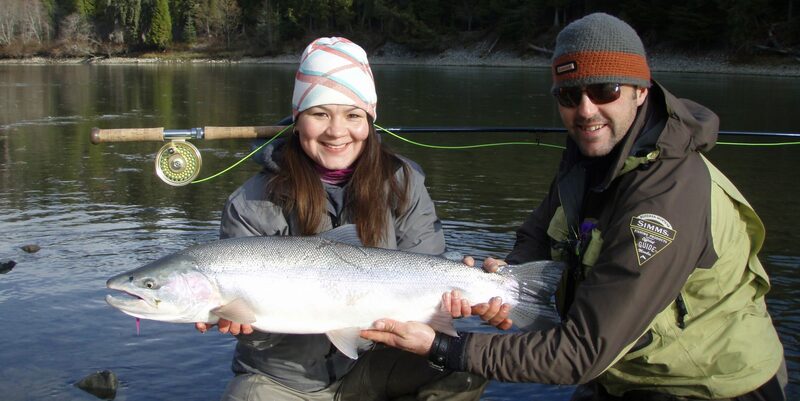 We have also had some great people here over the season one group that comes to mind is our polish fishing team they were here for 12 days becoming part of the family as well as catching a ton of beautiful Salmon & Steelhead on the fly !! 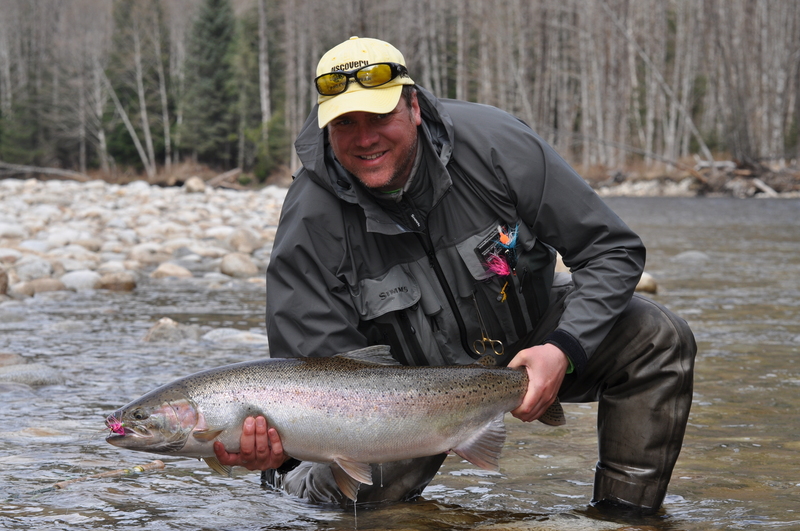 For those of you wanting an adventure to remember we highly recommend one of our Steelhead camps be it spring or fall. 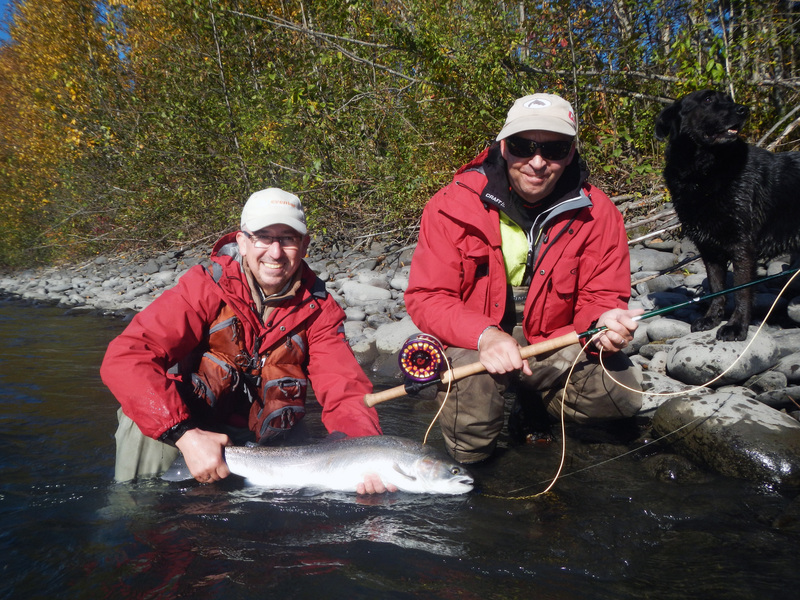 We only take 4 anglers per week on these incredible outdoor Fly fishing adventure trips. 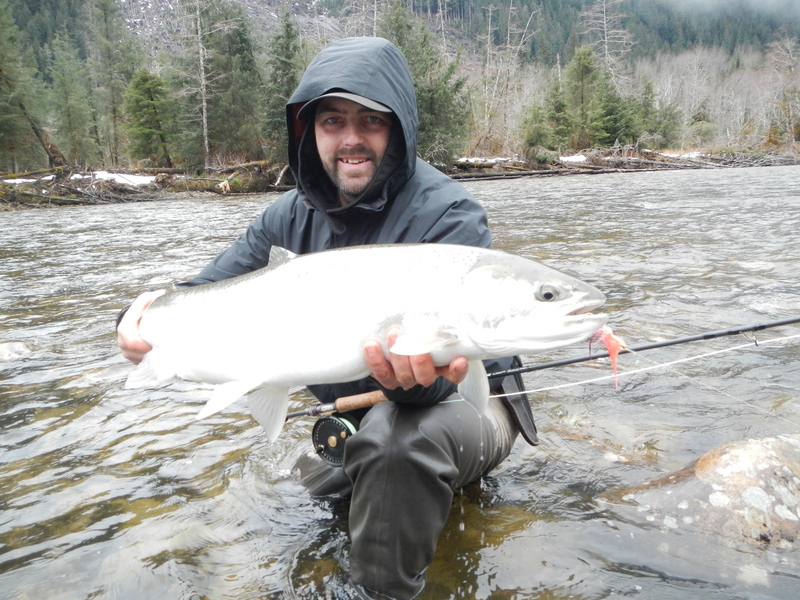 Fly fishing Terrace BC, Skeena river, Nass river , Kitimat river is what we do as guides in the Terrace Kitimat area for Steelhead & Salmon the past 15 years we have explored and seen most but not all of the bounties these river systems have to offer. 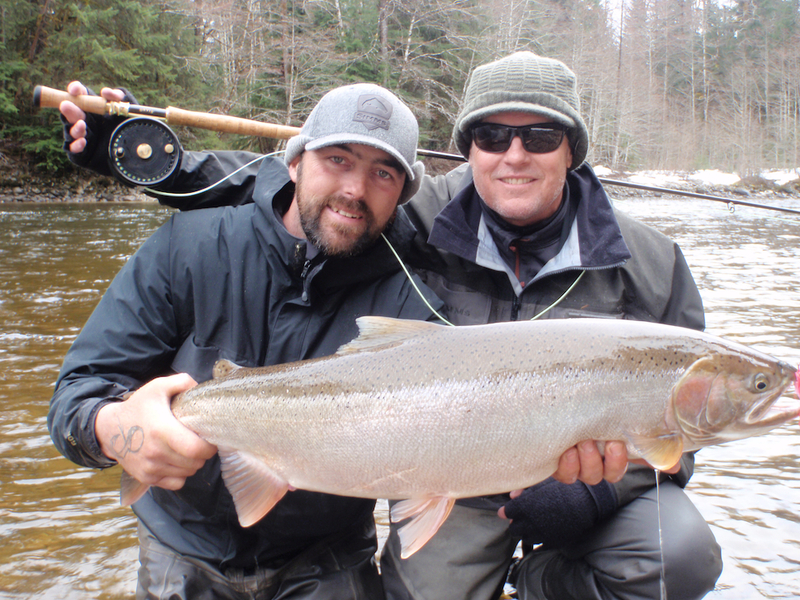 with that said you can be assured with our professional guides you will experience a fly fishing trip to remember. 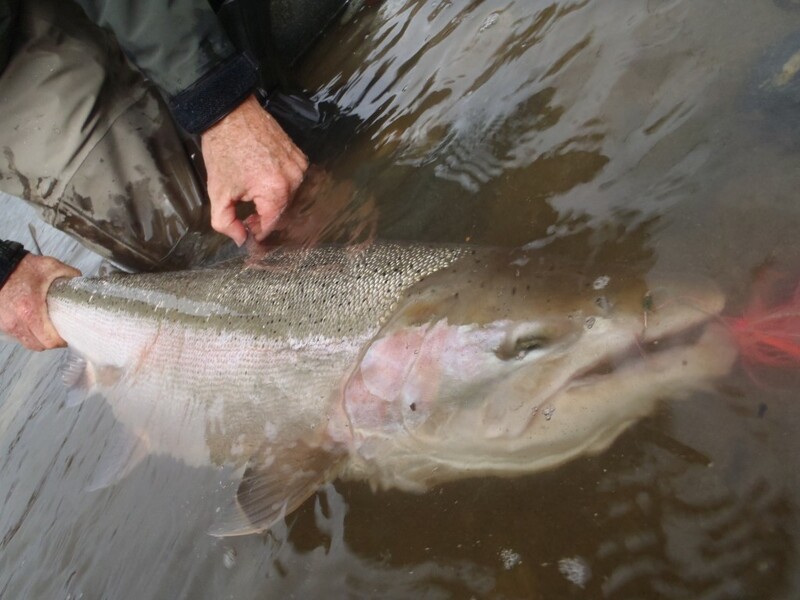 We guide for Spring Steelhead starting April 1 through to May 10 then onto the early run Chinook salmon swinging flies for these monsters is epic to say the least. 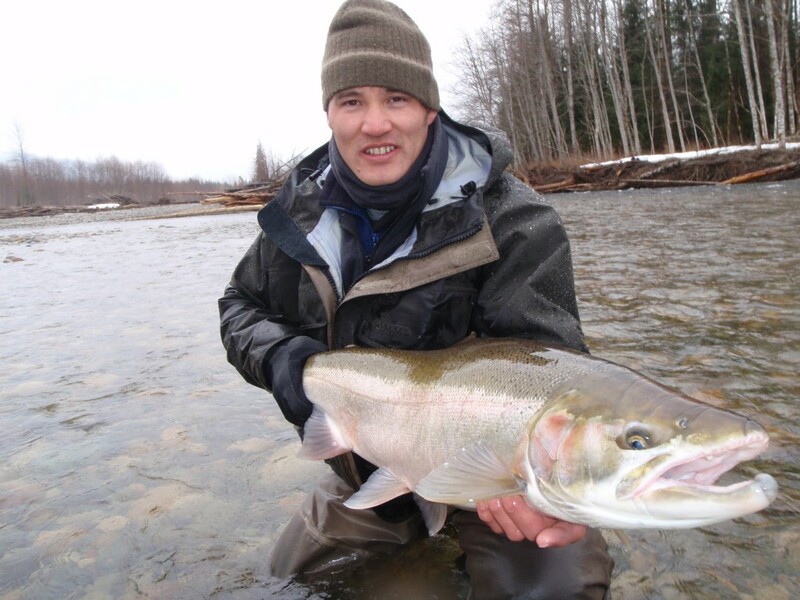 We are now booking up for spring Steelhead call for open spots, our next best time frame for Steelhead is July, August on the Main stem Skeena river this is the time when the true summer Steelhead are making there trip through the Big Skeena river and beyond 300km to 600km north to all other destinations we like to catch them when we are at there mercy! 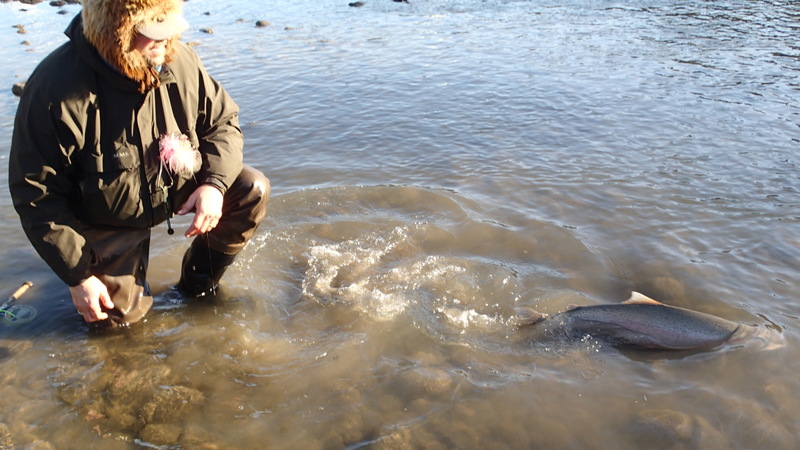 Fresh shinny pissed off Steelhead with no where else to go but back to the Ocean when they feel the prick from your swung fly. 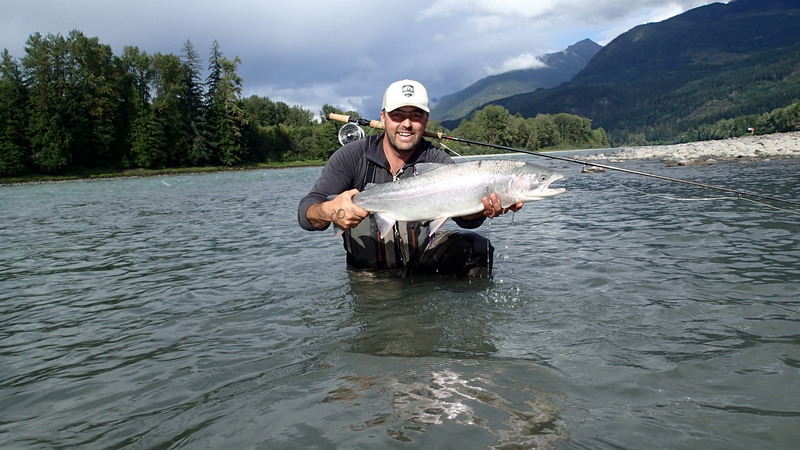 Darren wright also guides on the Bow river in Calgary & the world famous Babine river out of Smithers BC, & Todd Haynes with this crew you can’t go wrong. 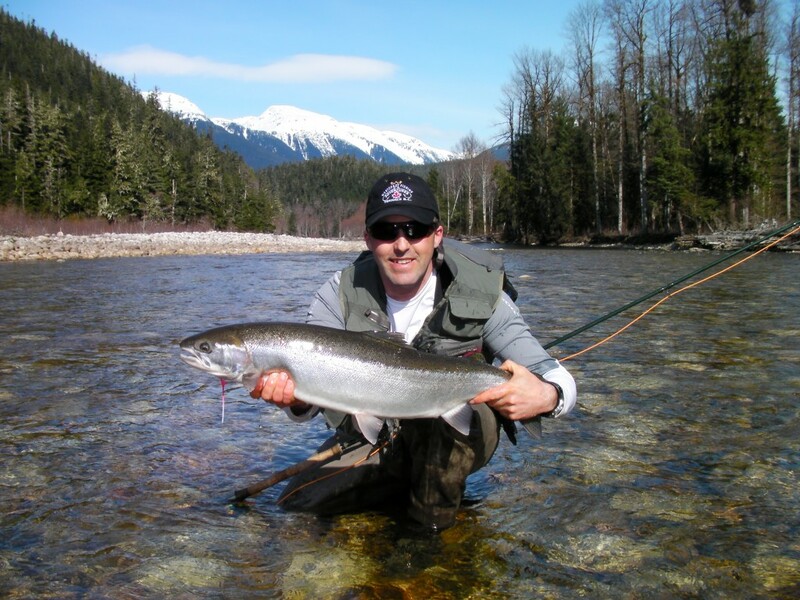 we look forward to helping you plan your next dream trip to British Columbia Terrace BC. 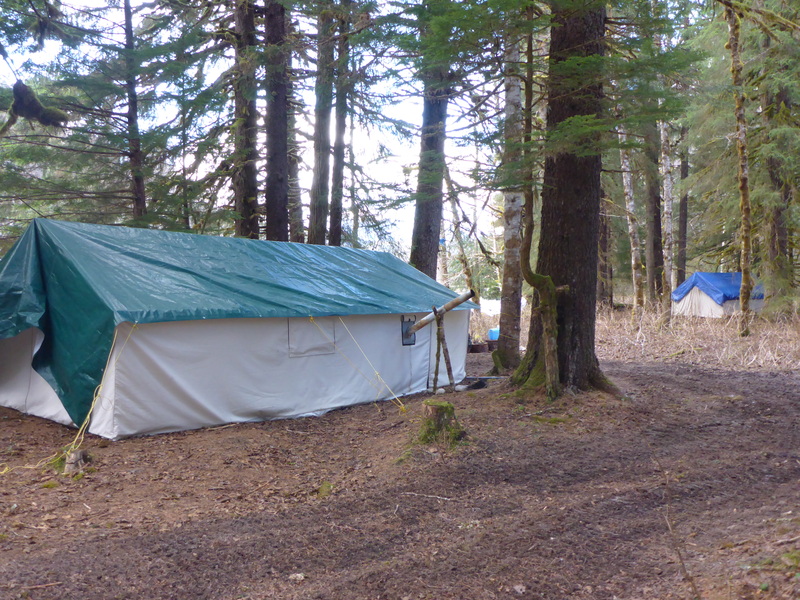 Pick from three lodging experiences from B&B to 4 star we can offer the lodging to suit your needs.